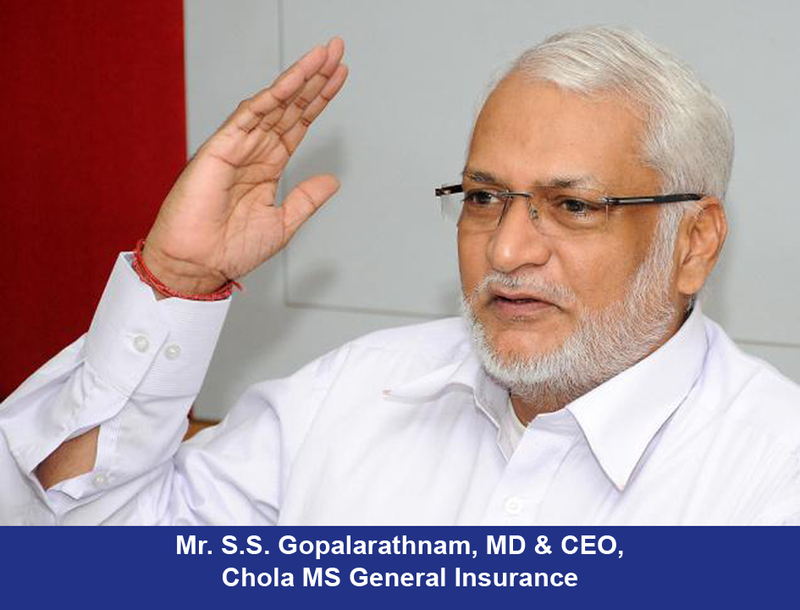 Cholamandalam MS General Insurance Company Ltd. has announced the successful private placement of 1,000 unsecured, subordinated, fully paid-up, listed, redeemable, non-convertible debentures having face value of Rs. 10,00,000 each (the NCDs), at par, aggregating to Rs. 100 crores. The coupon rate is 8.75% per annum and a maturity period of 10 years with a call option after 5 years. The NCDs have been assigned a credit rating AA+ (Outlook: Stable) by rating agencies CRISIL and ICRA. The NCDs will be listed in National Stock Exchange of India Ltd. The issuance of these NCDs are in accordance with the provisions of inter alia the Insurance Regulatory and Development Authority of India (Other Forms of Capital) Regulations, 2015, as amended from time to time, which were notified in November 2015 whereby Indian insurers were allowed to raise additional capital through subordinated debt or preference shares. Chola MS General Insurance Company Ltd. is a joint venture between the Murugappa Group and Mitsui Sumitomo Insurance Company Ltd., Japan. Chola MS offers a wide range of insurance products that include accident, engineering, health, liability, marine, motor, property, travel and rural insurance for individuals and corporates. In 2017, the company crossed a gross written premium (GWP) of Rs. 31,332 million. Chola MS GI currently has 110 branches and over 20,000 agents across the country. Chola MS GI champions a brand philosophy called T3, which stands for Trust, Transparency and Technology. It has also been consistently recognised and awarded by the Government of India, international entities and ratings agencies for its insurance service and delivery innovations. Founded in 1900, the Rs. 300 billion Murugappa Group is one of India’s leading business conglomerates. The group has 28 businesses including eight listed companies traded in NSE & BSE. Headquartered in Chennai, the major companies of the group include Carborundum Universal Ltd., Cholamandalam Investment and Finance Company Ltd., Cholamandalam MS General Insurance Company Ltd., Coromandel International Ltd., Coromandel Engineering Company Ltd., E.I.D. Parry (India) Ltd., Parry Agro Industries Ltd., Shanthi Gears Ltd., Tube Investments of India Ltd., and Wendt (India) Ltd. Renowned brands like BSA, Hercules, Montra, Mach City, Ballmaster, Ajax, Parry’s, Chola, Gromor, Shanthi Gears and Paramfos are from the Murugappa stable. The group fosters an environment of professionalism and has a workforce of over 32,000 employees.